Our customer’s favorite classic dish! 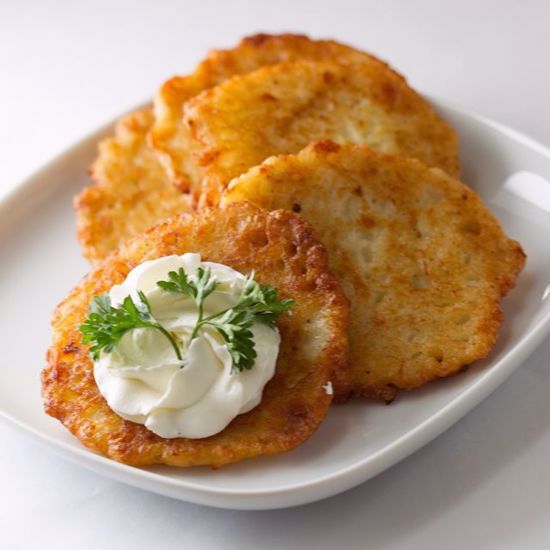 Crispy golden homemade potato pancakes pan fried to perfection. Served with sour cream or apple sauce.